Obtained summary judgment in a case where the plaintiff, the former CEO and president of a publicly-traded gaming company, was seeking over $10 million in damages for fraud, breach of contract, retaliation and interference with prospective economic advantage in connection with the termination of his employment. Obtained summary judgment in an employment action brought by a former high-level group director for a company who was seeking over $3 million in damages and had alleged breach of contract, wrongful termination, fraud and negligent misrepresentation. Obtained verdict in favor of insured/employer in an arbitration seeking recovery of attorneys' fees and costs incurred by employer in defending complaint brought by the employer's former president. Insurer refused to fully indemnify the employer for its attorneys' fees and asserted it was entitled to offset for amount recovered by the employer on its cross-complaint in the underlying action. The arbitrator found in favor of the employer and ordered the insured to reimburse the employer for 100 percent of its attorneys' fees and costs. 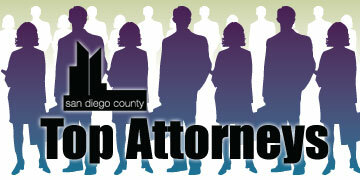 Mitch Danzig is a member in the firm's San Diego office and a member of the firm's Policy Committee. He has extensive experience in employment law and in intellectual property litigation and complex commercial litigation. His work has focused on litigation in the areas of trade secrets, employee mobility, wrongful termination, discrimination, harassment, contracts, defamation, wage and hour, and unfair competition. 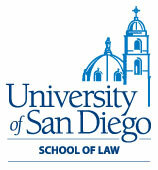 Immediately prior to joining Mintz Levin, Danzig was a partner in the San Diego office of a prominent national litigation firm. From 1982 to 1985, Danzig was a Drill Sergeant and Combat Conditioning and Hand to Hand Combat instructor with the Israeli Defense Forces. Between 1989 and 1992, he was a police officer with the New York City Police Department. He served as a patrol officer and in the NYPD's "Pressure Point" narcotics task force. He was also a recipient of the Police Commissioner's Award.